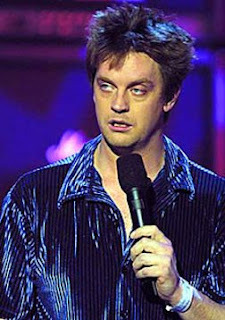 While I was preparing for my interview with Jim Breuer, flashbacks of his role on “Half Baked” came into my head. A pothead partier who shied away from responsibility was minutes away from calling me. As I sat waiting for the comedian to call, I realized something. It was past 7:00 o’clock, the time he was supposed to call. And not just a little bit, I’m talking about an hour late. When Jim Breuer finally did call, he was quick to apologize. And that’s when I realized the comedian really wasn’t a stoner. Q – Hey Jim. How are you doin? A – Was I supposed to call you like an hour ago? Q – Yeah, yeah, but that’s OK.
A – That was my goof up, cuz I was thinking Chicago, and I was thinking 8:00 o’clock your time which would have been 9:00 o’clock my time. Q – Are you in Chicago? A – No, no, no, I’m in Jersey. I apologize for that. Q – That’s all right. Sometimes I get confused too. A – (laughs) It’s all good. Q – So, ready to go then? A – Yeah, yeah, yeah, I don’t want to waste your time. Q – Oh, that’s all right, I was watching “Ghost Hunters International.” Do you ever watch that show? A – I do, I watch the first couple. Q – Do you believe in that stuff? I wish they would find more. It’s been like 10 years. A – There’s a shadow over there. There definitely was a shadow on the video tape. Oh, the chair moved. I want to see a guy get lifted up and thrown across the room. Then I’ll buy it. Q – I agree, and I think they wouldn’t have to work at Roto Rooter if they get stuff like that. Q – Most people know you from “Half Baked” and SNL. But your background is in stand-up comedy. Tell me, when and where did you start your career in stand-up comedy? A – I started playing rock clubs in high school because I couldn’t get to the comedy clubs yet. Once I was able to drive, my mother let me get out to the comedy clubs, in Long Island, and then went full blown into stand-up comedy in 1989. And then I never looked back. Q - Did you always want to do stand-up? A – Always, stand-up comedy and comedy acting. Q – I mean, did you see someone perform? What inspired you to do stand-up? A – I heard Steve Martin’s first album. I was like 10 years old listening to that. And then I saw Richard Pryor on HBO when my parents were sleeping, and then I saw George Carlin. As a kid, I loved the whole comedy world. Q – How long did it take you to do comedy as a full time job? A – About a year. A little over a year. Yeah, I came up the ranks pretty quick. Q – You’ve done a lot of different things in your career. Is there a certain approach you take for stand-up versus television or even film? A – Yeah, each venue is completely different, each show is completely different. I usually go on the passion of how I feel, and then I measure out the crowd. Sometimes they’re really young, sometimes they’re mix, a little more conservative, but I usually do what I want to do that night. Depending on the crowd, I’ll shuffle my material. Q – That’s interesting you say that your crowd can be young or old, because a lot of my friends think you’re a huge stoner, partly because of “Half Baked.” But that’s not true at all, is it? A – No, not at all. My audience is a great stand-up comedy crowd. I get a young “Half Baked” crowd. I get a great SNL crowd. I get a huge stand-up crowd, so it’s pretty diverse. And even the “Half Baked” crowd is starting to get married. Q – I actually saw Tommy Chong about a year ago and it seemed like everyone in the crowd looked like Tommy Chong. A – That’s something you’re going to have to ask Dave Chappelle. That was his baby. I told him there shouldn’t be until we’re like 50. A – Yeah, if we did it would be called “Fully Baked.” But we’d do it like when we’re all 50 or so. Q – Still smoking with Steven Wright on the couch. A - (classic Jim Breuer laugh) Yeah. Q – You came from SNL when it was actually funny. What do you think of the show now? A – To be quite honest with you, I haven’t watched it since I left. Q – Really? I don’t think I have either. A – I rarely watched it before I got on it. I started watching reruns when Sandler was on, Chris Farley, but that was never a show I was really fascinated with. Q – How did you get on it? A – It was really a fluke that I got on. It wasn’t a dream of mine, I had no intention of being a part of it. A – Yeah, I did that a long time ago. Q – How come it seems like all comedians want to be rock stars? A – Because we can never reach that status. I would still leave it all to go that route. And I just might. Q – What would you play? A – I’d be the front man. Q – Your new comedy special, “Let’s Clear the Air,” will premiere July 25th on Comedy Central. The special actually touches on your family life as a husband and father. A – Yeah, it’s almost my life caught in the middle. I really take care of my dad, and my mom who are deep in their 80’s. I mean bathe them and shower them. It’s definitely a life experience. And then I have my three little ones and I’ve been married for 17 years. I tell stories about “Half Baked” and “Saturday Night Live” and then I go into my family life. Q – That’s awesome. And I hear the material is clean for the most part. A – Very clean but not fairy tale clean. When I say clean I mean I’m not dropping “f” bombs. It’s still edgy. 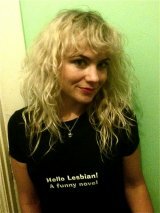 It’s still belly laughing my style edgy. No one’s going to leave the show feeling offended. That’s what I mean by clean, that’s all. Q – Eddie Murphy and Chris Rock’s earlier stuff was dirty and adult related and they seemed to tone it down when they had families. Was this something that crossed your mind when doing this special? A – To be honest with you, when I started toning it down, it’s because my kids watch everything I do now. I want them to be able to watch me and crack up. They’re kids in school and that’s definitely a major factor. Q – What do you want people to take away from your comedy special? A – I want them to go out and enjoy their families. No matter how dysfunctional it is. 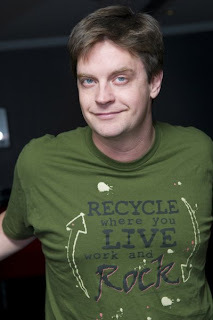 Q – Say you’re at the end of your career, what’s the one thing you want people to remember about Jim Breuer? A – (long pause) Aww God he made me laugh hard. Q – I haven’t seen it yet. A – I think people are going to like it. Q- You’re special, again, will air on Comedy Central, July 25th. Is there anything you wanted to add to this interview? A – See me on tour, I’m a monster on tour. And now is the time to catch me. Q – Sounds good man. Hey, thanks for taking the time to call in. A – Thanks for being patient. And sorry I called late. Q – I was sitting behind my computer for an hour man. A – (laughs) All right. Well have a good one. And thanks a million.